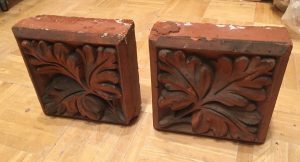 I decided to make a mold of one of these ca 1880 leaf blocks that came from a frieze band on a mansion in Newark NJ that was demolished. 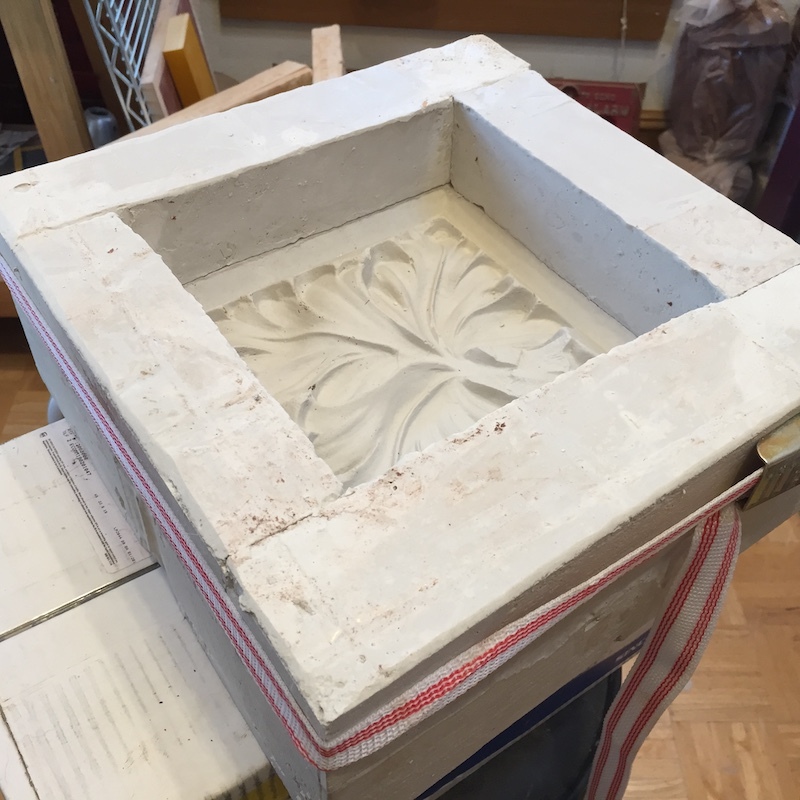 It’s a nice little design and it will be quick and easy to make these in red terracotta like the original. Now it will have to dry out for a couple of weeks before I can use it. This is exactly what they used in ca 1880 to make the originals, though it was about 5-10% larger.